Cumulus Media has inked a multi-year contract extension with co-founder Lew Dickey. Under the contract, he will continue to serve as president and chief executive officer, as well as a member of the Board of Directors, through 2018. 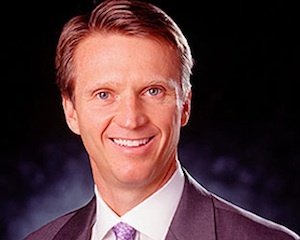 “Our Board is grateful that Lew Dickey, who has built Cumulus into a leading national media business, has renewed his commitment to lead the company into the future. I look forward to continuing to collaborate with Lew to build value for our shareholders,” said Board member Jeff Marcus. It was also announced that long-time director Robert H. Sheridan, III, of Ridgemont Equity Partners, will retire when his term ends at the 2015 annual meeting of stockholders. The Board has nominated Mary. G. Berner to stand for election, to fill the board’s vacant position. Berner is the president and chief executive officer of The Association of Magazine Media. Prior to running MPA, Berner led several media brands, including Glamour, TV Guide, W, Women’s Wear Daily, Brides and other publications.